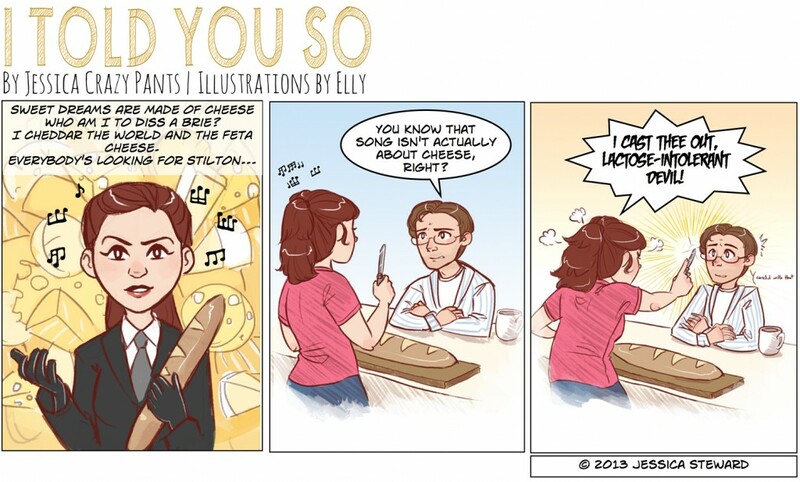 I love how Elly captured my rich, cheesy, fantasy life in this strip: Annie Lennox, a baguette of French bread, piles of cheese, and my beloved husband, Brendan. Does it really get any better than this? I mean, who am I to diss a Brie?